Definition: Clos, from the French for closure or enclosed, is a walled vineyard used to protect the grapes from theft as well as improving the mesoclimate. They are often founded by Cistercian monks and the word is often used in the name of famous wines even when the wall no longer exists. I have been trawling through books and the internet trying to find the exact number of clos in the Champagne region, but haven't had much luck getting an answer. I could find around 16 but I'm sure there must be more. However many there are, they certainly only account for a tiny fraction of the 80,000 hectares of vines there are in the region. I'm only going to go through a few of the famous ones otherwise this could turn into an essay. There is much debate as to how much difference having a wall around your vineyard actually makes, but it's hard to argue against the fact that walls protect against a number of evils. There are two vineyards in the whole region which have managed to survive the root-chomping phylloxera louse epidemic in the early 20th century. 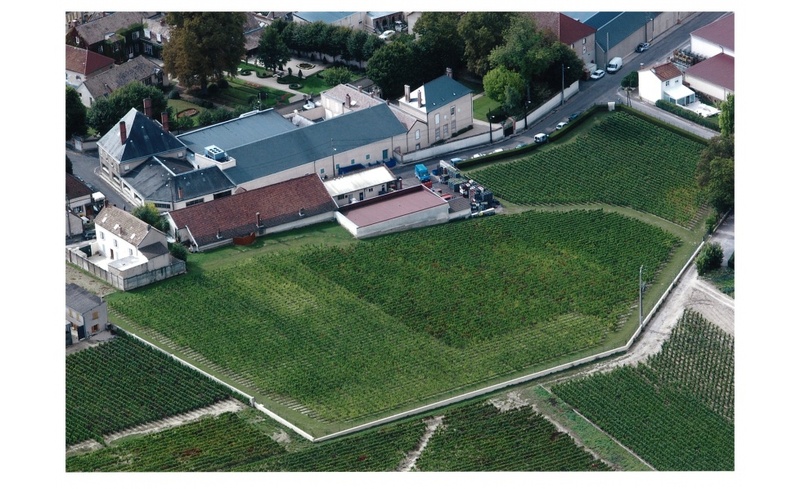 One is Clos St-Jacques and the other is Clos des Chaudes, both of which are under Bollinger's ownership. There is no doubt that they have managed to survive partly due to their high surrounding walls. It is the vines from these vineyards which make the fabled Vielle Vignes Francaises super-prestige cuvee which commands prices starting at £300 a bottle. 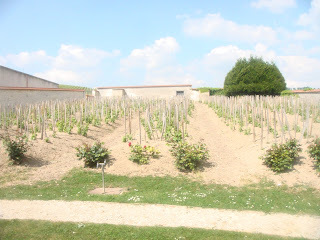 These walls also protect the vines from the cold winds which are also common in Champagne. Krug's 1.85 hectare site, Clos du Mesnil in Mesnil-sur-Oger, also benefits from actually being wrapped in the warm blanket of the town itself. The clos' ideal South-East facing aspect and chalky soils help to make an extremely fine champagne of great purity and elegance. Krug released its 1995 Clos d'Ambonnay in 2008 and as if Clos des Mesnil wasn't pricey or exclusive enough, Clos d'Ambonnay is only 0.685 hectares with only c.3000 bottles of the 1995 produced at the astronomical release price of £1,450 a pop. For me, one of Champagne's most interesting clos' is not actually a clos at all. 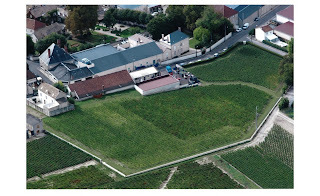 Phillipponnat's premier cru site, Clos des Goisses in Mareuil-sur-Ay, only has a wall on the bottom edge of the vineyard. 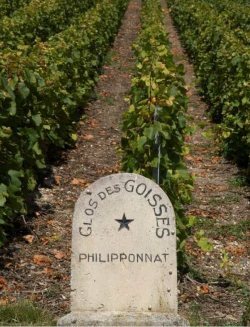 But lets not be picky; Clos des Goisses is an incredible vineyard and well worth a trip to see if you are ever in the region. It is on a steep, south-facing slope and has an average temperature around 1.5 degrees warmer than the average temperature in champagne. This means this clos can make wines of superior ripeness, even in miserable years like 2001. Tom Stevenson wrote a great article on this amazing vineyard. Another lesser known, but equally beguiling clos from Mareuil-sur-Ay, is Billecart-Salmon's Le Clos St-Hilaire. At around one hectare this vineyard can only make between 3,500 and 7,500 bottles of champagne every year and is only made in exceptional vintages. Clos St-Hilaire is situated right next to Billecart-Salmons grande maison and is named after the patron saint of the village it lies in. Only Pinot Noir is planted here and the Blanc de Noirs produced are bold and powerful with great ageing potential, not unlike Bollinger's Vielle Vignes Francaises. The final clos I want to talk about is the only clos actually within the city of Reims. It is owned by Lanson and is very originally named Clos Lanson. It is a single hectare site which was bought by Lanson in 1976. The Chardonnay grown in this vineyard has been used as a component in both Lanson's Black Label and Gold Label champagnes for years, but next year (2012) will see its birth as a single vineyard cuvee. I have no doubt that there will be a big marketing campaign letting everyone know how exclusive and rare this champagne is and I'm sure it will have a price to match its rarity. I am particularly looking forward to hearing more about it. I hope you find these incredible vineyards as interesting as I do and hope you get a chance to try a couple of them. You may have to re-mortgage your house first though.